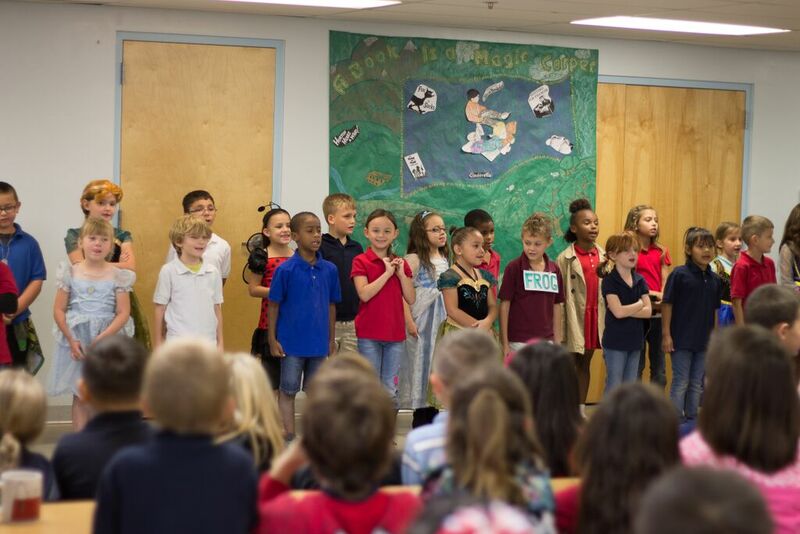 The first (Meyers) and second (Horka) grade classes presented a concert under the direction of Rose Marie Dokken on Thursday, October 8th entitled A Book is a Magic Carpet. Students came dressed in their favorite storybook characters. 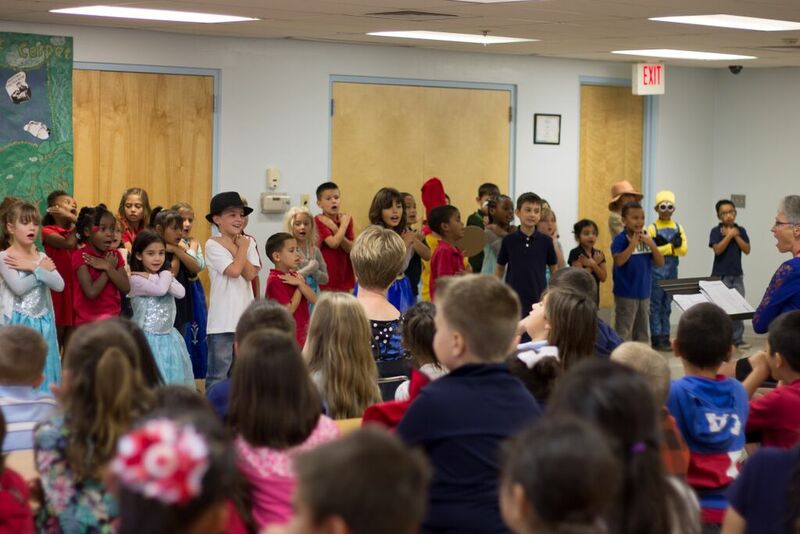 The children performed 13 songs for a full cafeteria at the 2:00 p.m. matinee for the school staff and students and 4:00 p.m. for their family and friends. Members of the classes are: Mrs. Meyer’s – Leann A., Jasiel A., Asia B., Julien B., Josiah C., Annahi G., Matison H., Karianna L., Kayden L., Gabriel M., Maya M., Dallas P., Angel P., Olivia P., Nathan R., Mariah S., Leanna S., Jabre S., Ethan S., Kayleigh S., Danica S., Emery T., and Dynim W. Mrs. Horka’s – Camren A., Sebastian A., Nicolaus B., Lisette C., Salvador C., Jacob C., Isreal D., Madison E., Vicente F., Ayla G., Shelby H., Jaslene H., Alijah H., Nayimah J., Jeremiah K., Alyssa M., AleXavier M., James O., Serenity O., Jesus R., Cariline R., Mathew S., Sabine V., Jeremy V., and Caedyn W.
A special “Thank You” to the parents for the darling costumes, Mrs. Meyers and Ms. Horka for the extra practices and running the music and Miss Voshel and Ms. Marshall for their help with art. Light refreshments were served following the concert, thanks to generous donations by Target and Subway. Door prize winners were Isaias Rojas (Chili’s) and Samuel Auger (Peter Piper Pizza). The next concert is 5th grade’s Patriotism program on November 5th.